In 1994, during the Houston Livestock Show and Rodeo season, a small trail ride to visit underprivileged school children began. A year later, a young man, confined to a wheelchair due to Spina Bifida, asked to be a part of the trail ride. Horseshoes from the Heart was born. 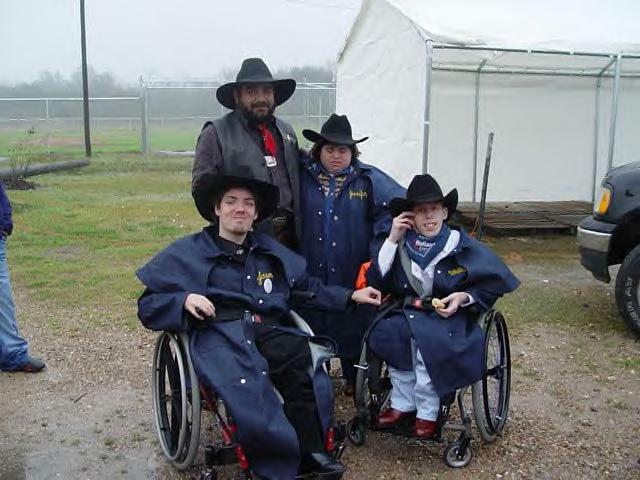 Today, our annual trail ride has over 40 physically or mentally challenged children who become 'cowboys' for a day. What began as a small trail ride to a school now has several hundred participants including members from the Los Vaqueros Rio Grande Trail Ride Association and members of the Alabama Coushatta Indian tribe. We now ride to over a dozen schools, visiting thousands of children. Through the generous support of the Houston Margarita Society, we also have a custom made wagon designed to carry our wheelchair bound 'cowboys' on the trail rides. With the help of our many wonderful volunteers, Horseshoes from the Heart is able to host many events for children with special needs. We've taken them to fish farms, bowling, horseback riding, camping, parades and many other events. 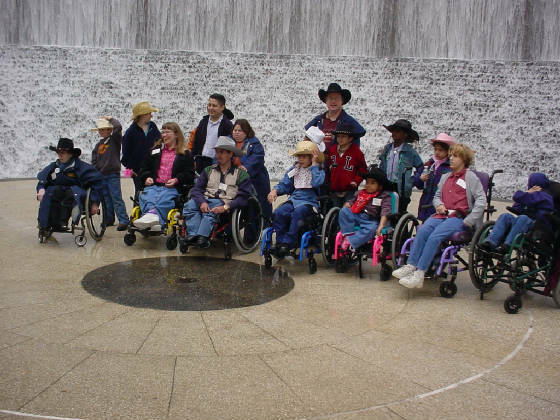 As a group, these children are able to truly enjoy themselves without concerns over what others may think of their disabilities. The volunteers work with these children, having them do as much as they are capable of. This helps to ensure that not only does child have a great time, but it also permits their parents and sibling an opportunity to enjoy more quality time with each other. as most people make us." 3) To provide history appreciation and create memories that will last a lifetime.